These two books present an empirically-supported program for helping anxious and depressed children (ages 8 to 11). The Professional Guide provides specific recommendations for implementing this cognitive-behavioral program including suggestions for selecting and individualizing the workbook exercises to meet the specific needs of different children and groups of children. Also discusses theoretical and clinical issues related to the treatment of anxious and depressed children including indications-contraindictions for using these techniques, and cultural adaptations. This program makes therapy fun for children by balancing the teaching of new coping skills with coaching to help them experientially apply these skills to highly personalized events in their day-to-day lives. Also includes suggestions for working with parents, conducting school-based groups, and numerous references. The Guided Self-Discovery Workbook contains 18 exercises which focus on specific cognitive-behavioral skill sets for increasing the coping skills of depressed and anxious children. 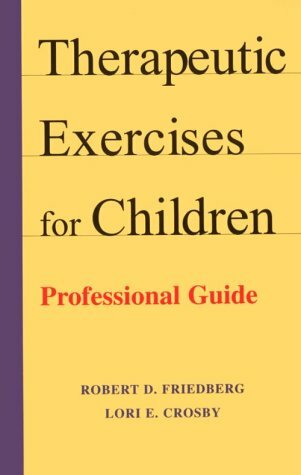 Each exercise contains "Guidelines for Therapists", "Tips for Children", and the exercise itself. The exercises can be photocopied and adapted for use with your clients in both individual and group treatment. These exercises guide children in identifying their stressors, encourage active experimentation with new ways of thinking and doing, and help them develop new skills for effectively dealing with events in their lives. "Therapeutic Exercises for Children provide excellent guidelines and concrete experiential techniques for working with depressed and anxious children. They distill and adapt the essential strategies of cognitive behavior therapy, translating abstract concepts into an appealing, easy-to-grasp format. These books will be quite helpful to a wide range of professionals who work with children, from therapists to teachers." "The authors are to be congratulated for extending evidence-based cognitive-behavioral procedures and devising new, creative, and imaginative therapeutic exercises for use with children. Simply put- this is therapy that will 'work' and be fun at the same time."